RAIZENNE, MARIE, named Saint-Ignace, sister of the Congregation of Notre-Dame and superior (superior general); b. 14 July 1735 at the mission of Lac-des-Deux-Montagnes (Oka, Que. ), daughter of Josiah Rising (Shoentakwanni, Ignace Raizenne) and Abigail Nims (Towatogowash, rebaptized Élisabeth); d. 20 April 1811 in Montreal, Lower Canada. Marie Raizenne’s parents had both been born in Deerfield, Mass. 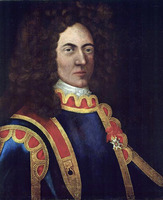 Captured by Indians during the War of the Spanish Succession [see Jean-Baptiste Hertel* de Rouville] and taken to Sault-au-Récollet (Montreal North) in 1704, they were baptized in the Catholic faith. The two captives, who were “raised in the Indian fashion,” attended the mission schools run by the sisters of the Congregation of Notre-Dame and the Sulpicians. At the end of the war they decided not to return to their native land and on 29 July 1715 they were married. Three of their children were to dedicate their lives to God. Indeed, when Marie entered the noviciate of the Congregation of Notre-Dame in Montreal in 1752, she was taking the step that her elder sister, Marie-Madeleine, named Saint-Herman, had taken 21 years earlier; her brother, Amable-Simon, had been ordained priest in 1744. Having made her profession in 1754 under the name of Sister Saint-Ignace, she lived through the events of the Seven Years’ War in Montreal [see Marie-Angélique Lefebvre* Angers]; then in 1761 she helped restore the Sainte-Famille mission on Île d’Orléans. She was serving as mistress of novices in Montreal when the mother house was destroyed by fire in 1768 [see Marie-Josèphe Maugue-Garreau*]. However, the following year she was sent to Quebec to take charge of the newly re-established mission in Lower Town, which had had to suspend operations when the town was captured by the British in 1759. Rebuilding the convent had required a loan of 11,000 livres from merchant Jean-Baptiste Amiot*. Even though she could not count on the aid of the townspeople, who were themselves victims of the war, Sister Saint-Ignace was successful in repaying much of this debt within six years, thus demonstrating her administrative abilities. In 1775 she was recalled to Montreal and became assistant to the superior, Véronique Brunet, dit L’Estang, named Sainte-Rose, whom she succeeded in 1778. During Sister Saint-Ignace’s first superiorship the community experienced its share of the woes brought on the country by the War of American Independence. Resources were so scarce that the council of the community refused to repair any of its houses unless “it is raining a great deal [in them]”; in 1780 the sisters were able to buy their supply of wheat (300 bushels) only after receiving a legacy of 3,000 “shillings” from one of their regular benefactors, Étienne Augé*. In 1781 the superior of the Sulpician seminary in Montreal, Étienne Montgolfier*, released the community from the obligation of paying a sum of 1,600 livres, which represented the lods et ventes owed to the seminary as a result of the sisters’ purchase of the Parc à Baron, a property between the St Lawrence River and the road to Lachine. That year, at her request, Governor Haldimand freed Sister Saint-Ignace from the requirement of amortizing, by annual payments, the seigneurial dues on the community’s fief of Île-Saint-Paul (Île des Sœurs), near Montreal. Given the financial difficulties facing the community, the sisters in charge of the missions were strongly tempted to take into their schools all the boarders who applied. However, to assure the quality of the services offered and to safeguard the missionaries’ health, a regulation was passed in 1780 limiting the number of boarders to 40 and giving priority to pupils who were getting ready for their first communion. Moreover, the community’s dire poverty prompted Sister Saint-Ignace to be extremely prudent when she was called upon in 1782 to examine a proposal for the founding of a mission at Detroit (Mich.). A petition to that end had already been presented in 1755 by the inhabitants of the “lower region of the colony,” but to no avail. 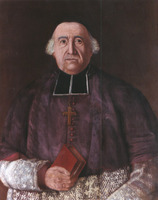 This time Jean-François Hubert*, who was then parish priest of Notre-Dame-de-l’Assomption, near Detroit, addressed the request to Bishop Briand* of Quebec, and was so confident of receiving a favourable reply that he sent 2,400 livres for the missionaries’ voyage, promising to provide them with a suitable house. The founding of such a mission, however, posed problems for the Congregation of Notre-Dame. For one thing, it represented a new financial burden for the community, which could barely maintain missions that were already established and were close at hand; moreover, a mission at Detroit would not only be precarious, but might well be short-lived. The superior also thought that she could not compel any sister to move to Detroit, since going so far away had not up to this time been part of the obligations implied in taking vows. In the series of material and spiritual conditions that she considered appropriate to submit to the bishop before agreeing to the proposed mission, the superior revealed not only reservations but also her good sense and respect for her sisters’ liberty. Afterwards, having weighed the advantages and disadvantages, she rejected the project. On the other hand, in 1783 the congregation set up a mission at Saint-Denis on the Richelieu, taking possession of a convent built for the sisters by the parish priest, François Cherrier. The running of the mission was entrusted to Marie-Louise Compain, named Saint-Augustin. In 1784, when her six-year term of office came to an end, Sister Saint-Ignace became mistress of novices, and four years later second mistress; then in 1790 she was re-elected superior. During her second superiorship she felt some quite legitimate anxieties about the congregation’s affairs in France. It was the period of the revolution, and the community’s procurator, Jean-Louis Maury, had not been heard from since 25 Feb. 1789. Consequently the community was deprived of the annuity payments which constituted its main income. On learning of the spoliation of the properties belonging to the clergy and the religious communities in France, Sister Saint-Ignace was rightly concerned about the fate of the congregation’s possessions there. However, she did not give up hope of seeing Canadian-owned property treated like that of other foreign countries, since the colony had not been under French rule for many years. 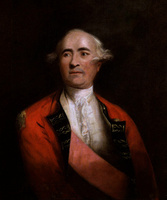 In a letter dated 11 March 1791 – the last he would send to the community until 1802 – the procurator explained that he could no longer pay the bills of exchange as before, since he was no longer certain he would be reimbursed for the money he advanced. Nor did he give much reassurance as to the future of the property in France belonging to Canadian communities. By the time her second superiorship ended in 1796, Sister Saint-Ignace still had received no revenues from France and did not know what fate had befallen the congregation’s possessions there. It will be readily understood that such a period marked a decided hiatus in the community’s development. No new missions were founded. The sisters merely did the essential repairs and raised the monthly board in all the missions to seven livres and a bushel of wheat, and the half board to four livres and half a bushel of wheat. On 14 May 1793 they sold the Parc à Baron and a property in the faubourg Québec, in the east end of Montreal, that had come from a sister’s dowry. During this six-year term of office, the financial foundations and indeed the very future of the congregation Sister Saint-Ignace directed were seriously endangered. Becoming mistress of novices again when the term was over was a welcome rest for her. She carried out this duty until 1802, and then lived in retirement for the last nine years of her life. Arch. de la Congrégation de Notre-Dame (Montréal), Fichier général; Personnel, V; Reg. général. Louise Dechêne, “Inventaire des documents relatifs à l’histoire du Canada conservés dans les archives de la compagnie de Saint-Sulpice à Paris,” ANQ Rapport, 1969: 273. [Sœur Saint-Jean l’Évangéliste] [Guillelmine Raizenne], Notes généalogiques sur la famille Raizenne ([Ottawa, 1917]). J.-B.-A. Allaire, Histoire de la paroisse de Saint-Denis-sur-Richelieu (Canada) (Saint-Hyacinthe, Qué., 1905), 176. C. A. Baker, True stories of New England captives carried to Canada during the old French and Indian wars (Cambridge, Mass., 1897), 235–49. C.-P. Beaubien, Le Sault-au-Récollet, ses rapports avec les premiers temps de la colonie; mission-paroisse (Montréal, 1898), 182–84, 192–95, 201, 212–18. [Prosper Cloutier], Histoire de la paroisse de Champlain (2v., Trois-Rivières, Qué., 1915–17), 2: 144–45. [É.-M. Faillon], Mémoires particuliers pour servir à l’histoire de l’Église de l’Amérique du Nord (2v., Paris, 1852–53). Lemire-Marsolais et Lambert, Hist. de la CND de Montréal, 4: 237–39, 380–81; vols.5–6. Sulte, Hist. des Canadiens-français, vol.6. Trudel, L’Église canadienne, 2: 338, 347. Andrée Désilets, “RAIZENNE, MARIE, Saint-Ignace,” in Dictionary of Canadian Biography, vol. 5, University of Toronto/Université Laval, 2003–, accessed April 26, 2019, http://www.biographi.ca/en/bio/raizenne_marie_5E.html.